Sometimes we store sensitive information in documents that we don’t want other people to access. 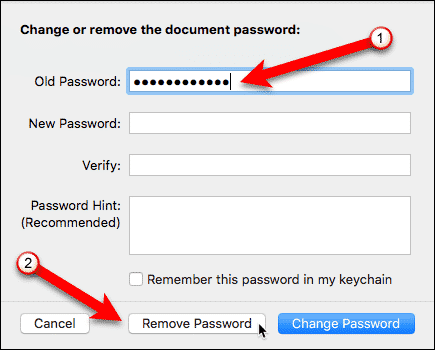 To keep your information private, you can password protect iWork documents on your Mac. Today, we’ll show you how to add passwords to Pages, Numbers, and Keynote documents (the iWork suite) on your Mac. We will show the Pages app in our example, but the procedure is the same in all three apps. 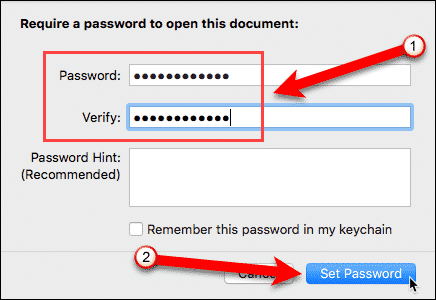 To password protect a document in Pages, open it and go to “File” > “Set Password“. On the “Require a password to open this document” dialog box, enter a “Password” and then “Verify” the password. Next, click “Set Password“. If you want to save the password in your keychain so you don’t have to enter it every time, check the “Remember this password in my keychain” box. Keychain Access stores all your logins and passwords for all the websites you visit and system functions you use. Your iCloud password is used to encrypt these logins and passwords. You must have Keychain Access enabled to store the password for your Pages document in your iCloud account. When you password protect a document in Pages, you’ll see a lock next to the file name in the title bar at the top of the Pages window. You’ll also see a lock on the icons for the password protected documents in Finder. When you password protect documents in Pages files, you must enter the password to open the file. Enter the “Password” on the “Enter Password” dialog box and click “OK“. You can also decide to add the password to your keychain here by checking the “Remember this password in my keychain” box. You can change the password on a Pages document. Open the password protected file and enter the password when prompted. Then, go to “File” > “Change Password“. 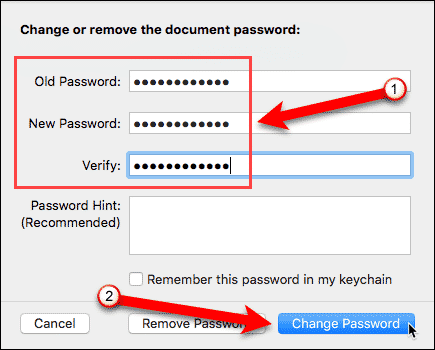 On the “Change or remove the document password” dialog box, enter the “Old Password” and the “New Password” you want to use, and then “Verify” the new password. Click “Change Password“. You can also remove the password on the “Change or remove the document password” dialog box. To remove the password, you only need to enter the “Old Password” and then click “Remove Password“. Do not forget the password you add to your document. If you do, you will not be able to open the document. It’s a good idea to use a password manager, like Apple Keychain or 1Password, to store your passwords and logins. Some password managers also allow you to store other private information in addition to passwords and logins. How do you protect your sensitive information? Do you use a password manager? Share your thoughts and experiences in the comments below.